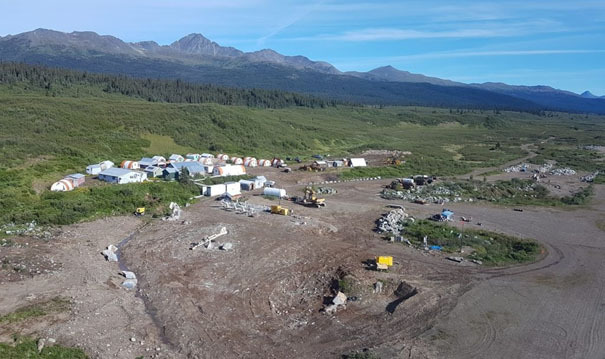 Ron Struthers of Struthers’ Resource Stock Report describes a miner making a promising stand in the Far North, as well as other Yukon-based gold companies that have captured his attention. The Yukon is seeing a modern-day gold rush, with five major miners jumping in and several junior exploration companies with large exploration budgets. Kinross Gold Corp. (K:TSX; KGC:NYSE) was the first of the major gold miners to make a move into the Yukon when it gobbled up White Gold. The current Yukon gold rush really gained traction with Goldcorp Inc.'s (G:TSX; GG:NYSE)'s CA$520 million buyout of Kaminak Gold Corp. in 2016. Since then, Agnico Eagle Mines Ltd. (AEM:TSX; AEM:NYSE), Newmont Mining Corp. (NEM:NYSE) and Barrick Gold Corp. (ABX:TSX; ABX:NYSE) have all picked up gold properties in the territory. Late summer in 2017 the Canadian government weighed in with $360 million in road infrastructure to access the Yukon's minerals, called the Yukon Resource Gateway project. Peter Tallman of Klondike Gold Corp. (KG:TSX.V) probably said it best: In the Yukon, 20 million ounces of gold have come from gravels but zero from the bedrock. The Yukon is the largest unexplained geochemical gold anomaly on the planet. It all adds up to the Yukon is seeing its busiest year since 2011. Scott Casselman, head of mineral services with the Yukon Geological Survey (YGS), says: "What we've seen this year is a noticeable uptick in the amount of investment in mineral exploration in the territory. We're probably looking at about double what it was last year. We're looking at almost $100 million in exploration expenditures and I think the number was about $20 million in development expenditures, for a total of $120 million this year. That compares to $57 million in 2016." The most influential players in recent years, who helped trigger this rush, would be Shawn Ryan, who is credited with finding and developing the White Gold district, among others. Ryan has dealt most of his Yukon holdings and in 2016 moved to Newfoundland and Labrador (NFLD) for gold prospecting. Next could be Rob McLeod of the famous McLeod mining family. His Underworld Resources was the Yukon project that was sold to Kinross Gold, and again Shawn Ryan was involved here. There have been many other great prospectors in the Yukon, but I might as well mention John McConnell, who has led Victoria Gold Corp. (VIT:TSX.V) since 2011. The company's Eagle deposit has been advanced to 4 million ounces measured and indicated, has gone to feasibility and fully permitted. It is likely to be the Yukon's first and largest hard-rock old mine. Victoria does not have a major for a partner, but Kinross Gold owns 11% of the company and its Eagle deposit at Dublin Gulch is advancing to the production phase. The PEA is complete, it is fully permitted, and in an area with good infrastructure, roads and power. It is next door to the historic Keno mine, which seen many years of silver production (approx. 240 million ounces). The map below is from Atac Resources, and the Alexco/Bellekeno claims are the old Keno mine. You can see Victoria Gold just above Keno, a very small town. ATAC has some advanced properties and a partnership with Barrick of approximately $63.3 million, which includes a private placement of $8.3 million (completed), and a two-staged, $55-million exploration earn-in option to acquire 70% of the Orion Project, which is the middle portion of the Rackla property in the map above. In 2017 ATAC drilled 29 holes in three zones for a total of about 11,214 meters. The company reported some very good results at the end of November on its Osiris project, which included 25.91 meters of 5.44 g/t gold. On Oct. 23, results from 12 drill holes on its Rackla gold property revealed a very good intersect of 51.82 meters containing 5.66 g/t gold. The stock reacted well from results at the end of August but drifted down from there and ended the year up about +40%. Goldstrike has done a deal with Newmont that will provide a CA$53 million investment to advance its Plateau project in the Yukon. Newmont can earn a 51% interest in the first phase and up to a 75% interest. Newmont is planning a 10,000-meter drill program for 2018. Goldstrike successfully completed 1,032m of diamond drilling in the nine shallow exploratory holes that constituted the 2017 drill program at their Lucky Strike property. News on Nov. 20 announced a discovery drill hole (DDLS-17-09) that intersected a broad zone of near-surface gold mineralization at the Monte Carlo zone grading 5.36 g/t gold over 22 meters, including 18.79 g/t gold over 5.72 meters. The stock was up some the end of August but ended the year flat. The most advanced project is Klondike’s Eldorado, at 13,545 hectares. It has has road access. In 2017 it drilled a total of 70 diamond drill holes, equal to 8,620 meters drilled. Early results were lower grade, such as news on Sept. 28, with 53.25 meters of 0.7 g/t gold. Assay results are pending for all 33 holes drilled in phase 3 (September to October). Klondike is run by Peter Tallman, who highlighted the 20 million ounces mined from alluvial sources in the Yukon that I noted above. However he got a hand slap from IROC and the company issued a press release Aug. 21, retracting many statements. It came across to me as quite a negative press release, but the stock moved up anyway. However, that ended up being the top for the year, when the stock was up about 200%. It has ended the year up about 80%. Not too shabby! Triumph is advancing its 200 sq. km Freegold Mountain project, which has road access and is just above Rockhaven's Klaza project on the above map. Triumph completed 35 drill holes for 12,904 meters in 2017, and has released results for about 20 of these holes so far. Hole RVD17-13 hit 57 meters of 1.72 g/t gold equivalent, and news on Oct. 19 revealed an intersect of 245 meters of 0.322 g/t gold, with 0.112% copper. Goldcorp acquired a 19.9% stake in the company with a CA$6.272 financing on March 2, and since then the stock drifted down before rallying to a high around CA$0.50 in early September. The stock has dropped since then, and has not responded to recent drill results, probably because of general year-end weakness in the sector—and, for the most part, drill intersects are lower grade. Freegold does have an indicated resource of 1.3M ounces at 0.544 g/t (lower grade than Victoria Gold). Rockhaven raised around $4 million in 2017 and completed a 15,922 meter drill program of 96 holes on its Klaza project in the Yukon. 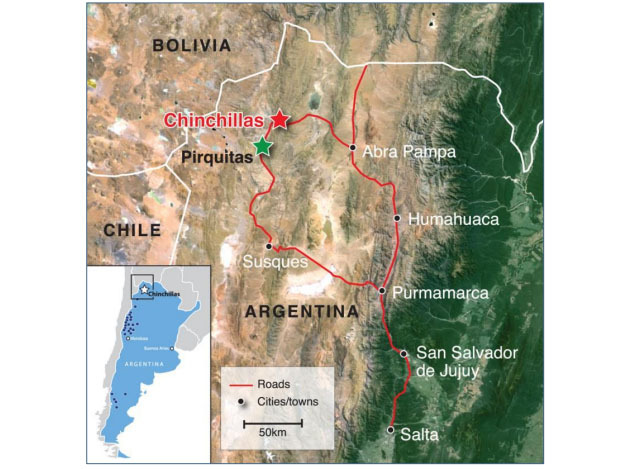 It reported successful infill drilling on the BRX zone where the current inferred resource estimate of 352,000 ounces gold, 5,813,000 ounces silver, 39.4 million pounds lead and 42.8 million pounds zinc is reported. Near-surface, high-grade veins were intersected in the Klaza zone that has an inferred resource of around 570,000 ounces of gold and over 10 million ounces silver. These are among 11 main vein systems on the project. The stock responded some, moving from around 13 cents in October to 17 cents in November and ended the year at 15.5 cents. Resources need to be upgraded to measured and indicated to get more value and 2017's drill program was a solid step in that direction. Editor's note: Rockhaven's information was updated on Jan. 10. Zonte made the discovery of the year based on its stock performance, and although the company has other projects, the McConnells Jest project, adjacent to Victoria Gold's Dublin Gulch, was the only project it did much work on in 2017. The stock jumped in price and on volume when the company announced the acquisition of the McConnells Jest project in January 2017, and remained strong during the summer with early exploration results. The stock ended the year up about 170% despite the sell-off on drill results in October. That is far above the next contender, Klondike Gold, which was up about 80% on the year and not too shabby either. Zonte only completed a small drill program of five drill holes for 1,027 meters, testing three targets called Two Four, Hill and Pink Mountain. Despite very limited exploration that barely scratched the surface, Zonte made a discovery in the Two Four zone with the two holes drilled there. The best intersects in Hole MJ-04 were 20.45 meters of 0.72 g/t gold and 20.28 meters of 0.69 g/t gold, with that intersect bottoming in mineralization at 142.5 meters. MJ-03 was drilled from the same location in the opposite direction, and looks to me that it was on the outside of the zone with a low-grade intersect of 106.78 meters of 0.18 g/t gold. The McConnells Jest project is a close comparison to the adjacent Dublin Gulch pluton at Victoria's Eagle Gold project, and the two intersects in MJ-04 came back with a slightly higher grade than Victoria's 123 million tonne reserve at 0.67 g/t gold. First the market misunderstood or had too high expectation on October's drill results and such a steep sell-off was not warranted. Second, the market value, at a very low $6.7 million, is less than half the value of the next cheapest Yukon explorer. Third, the Wings project in NFLD is drill ready and Shawn Ryan's (Yukon fame) Torq Resources (TRBMF) has staked right up to the Wings boundary. Torq is still early phase exploration yet is valued five times higher than Zonte. Fourth, on Nov. 15 Zonte acquired the Cross Hills copper project, with copper being the strongest performing metal in 2017. Fifth, Zonte has disputed claims over the middle of AngloGold Ashanti Ltd.'s (AU:NYSE; ANG:JSE; AGG:ASX; AGD:LSE)/ B2Gold Corp.'s (BTG:NYSE; BTO:TSX; B2G:NSX) 5 million ounce Gramalote deposit in Colombia. On June 26 it announced the court suspended AngloGold's (the operator) claims on the disputed ground. A similar case was Galway, which had fractional claims over Ventana's 3.5-million-ounce La Bodega project; Columbia and Galway settled for about CA$300 million in 2012. I have not watched all the Golden Triangle plays like I have in the Yukon, but I own Jaxon Mining Inc. (JAX:TSX.V; JXNMF:OTC.MKTS), which did very well, and Garibaldi Resources Corp. (GGI:TSX.V), which was probably the top performing exploration play in 2017. This map from Garibaldi shows how crowded and intense this play is. Jaxon Mining was a new entry in 2017 and on this map would be near the bottom area. If you did not know or had any doubts how hot this area was in 2017, this chart on Garibaldi, comparing with Jaxon will probably change your mind. Garibaldi was up around 3,500% during the peak in the play while Jaxon was only up 500%. I also included Eskay Mining and Colorado Resources near Garibaldi and Tudor to the south. Those three were pretty boring this year. What was quite amazing is that Garibaldi shot up on speculation and drill hole descriptions. The stock hit its highest level in October before the first four drill hole results were reported on Nov. 20. I was quite convinced the stock would sell off on news so I suggested taking profits a couple times and had sold about three-quarters of my position by end of October. Who needs drill results if you can make profits like this beforehand? But just the same I plan to hold my remaining position long term and see what unfolds. I believe the stock became so speculative because drill results from Silver Standard in the 1960s revealed high-grade nickel with copper, such as 37.8 meters of 1.3% nickel including 2.74 meters of 5.9% nickel with 1.7% copper. Then Garibaldi released its exploration results and VTEM surveys on July 18, which showed strong anomalies below and to the east of the historic Silver Standard drilling. The market was speculating that the old Silver Standard drilling just scratched the outside of the better targets. Garibaldi announced a CA$6 million financing in September at $0.82 per unit, and Eric Sprott took down $2,502,970 in the first tranche, and this added more credibility to the story. Eric Sprott bought $5 million in the next financing at CA$3.15 per unit, increasing his holding to 11.7% of the company. Garibaldi did an excellent job promoting and hyping drill-hole descriptions before any drill results, and received its share of criticism, especially on the poor job done on the press release of the first four drill holes on Nov. 20. There was not enough detailed information to make much of the drill results and the company down played them, preferring to hype visual results of hole number 14 instead. The first good results came on Dec. 6, with drill hole EL-17-09 (hole 9) hitting 9.9 meters of 7.3% nickel with 3.3% copper. Then on Dec. 8 the company released results of the previously hyped drill hole EL-17-14, and it hit an impressive 16.75 meters of 8.3% nickel with 4.2% copper. Although these are some very high-grade intersects, at this point there is no good evidence or other drill data that shows this has any size to be mineable. You can see the zones outlined in red are small with just two drill intersects. It appears there is not much potential to expand at depth or in two of four directions so these might end up small pods. There is potential at targets A, B and C, but unless they are bigger or can be connected, we just don't know until much more drilling is completed. What might be most promising is a deeper target labeled the Q Anomaly, which might be the source of these zones closer to surface. I suspect Garibaldi might test this later in 2018. The above chart does not show price, and I would only considering buying Garibaldi stock on weakness around CA$2.00. Jaxon Mining has a very appealing project with its 28,000-hectare, 100%-owned Hazelton property about 50 kilometers north of Smithers, B.C. Jaxon also expanded its 100% Wishbone property in the Golden Triangle to almost 20,000 hectares. On Sept. 3 the company announced the acquisition of the old Cronin mine, and it is believed to be the southern extension of their Hazelton project. Cronin has an old 1972 historic resource with grades of 428 g/t silver, 7.11% lead and 8.12% zinc. Jaxon built a very nice property portfolio in the Golden Triangle in late 2016 and throughout 2017. The focus this year was an in-depth first-phase exploration program at Hazelton property that revealed some exceptionally high grades on surface. Channel samples up to five meters wide over a 700-meter extent showed many assays running 140 to 780 g/t silver with one at 1,006 g/t. They also included zinc running 5% to 22%. Some of the historic work, like trench 742 south, yielded historical values of up to 2,171 g/t silver, 3.89 g/t gold, 18.6% zinc and 39.5% lead in grab samples. The 550 trench yielded historical values of 937 g/t Ag, 2.78 g/t Au, 4.31% Zn and 3.83% Pb. On Sept. 19 Jaxon announced some extreme high grades with a float sample grading 8,952 g/t silver (highest value this season), along with 2.64 g/t gold, 3.57% zinc, 7.89% lead and greater than 5% antimony. An important rhyolite sample graded 1,221 g/t silver, 1.80 g/t gold, 4.34% zinc, 5.05% lead and 4.53% antimony. High grade on surface is widespread and some exposures look as though they may connect underground. The potential on this property is very unique and attractive, such that it attracted a strategic investment from Dr. Yington Guo of the Zijin Midas Exploration Fund. This is a subsidiary of Hong Kong-listed Zijin Mining Group, which ranks as the largest gold producer in the world by revenue. Zijin Mining also participated in a second financing at $0.32 cents per unit. On June 26, John King Burns joined as chairman and lead director. Mr. Burns is former chairman and founder of Northern Orion, which was subsequently acquired by Yamana Gold Inc. (YRI:TSX; AUY:NYSE; YAU:LSE) in a $1 billion transaction. Jaxon completed ground-induced polarization (IP) surveys that indicate several shallow chargeability anomalies underlying Jaxon's Max target at the Hazelton property. With all the groundwork completed this season, the company finished up Dec. 7 with 12 drill holes for 2,281 meters on the Max target. First results were expected late December, but with labs busy it is obvious now that it will be January. There has been no speculation built into the stock price considering drill results are around the corner. The chart above is the Canadian dollar price and it shows the stock near support around $0.22. This max target has very good potential of producing some good drill results that could pop the stock a lot higher. Since the price is near support, buying here could be a very good speculation. 1) Ron Struthers: I, or members of my immediate household or family, own shares of the following companies mentioned in this article: Zonte Metals, Garibaldi Resources and Jaxon Mining. I personally am, or members of my immediate household or family are, paid by the following companies mentioned in this article: None. My company currently has a financial relationship with the following companies mentioned in this article: Jaxon Minerals is an advertiser on playstocks.net. I determined which companies would be included in this article based on my research and understanding of the sector. 2) The following companies mentioned in this article are billboard sponsors of Streetwise Reports: Victoria Gold Corp. Streetwise Reports does not accept stock in exchange for its services. Click here for important disclosures about sponsor fees. Ron Struthers of Struthers Resource Stock Report discusses the downfall of cryptocurrencies and the rise of gold, and presents four gold companies he is adding to his selection list. Kevin MacKenzie, an analyst with Canaccord Genuity, explained the rationale for adding this junior exploration company to his coverage universe. Bob Moriarty of 321 Gold sees a lot of potential in this company's Nova Scotia and Newfoundland projects. Turnarounds Coming at Three Resource Companies? Adrian Day of Adrian Day Asset Management provides updates on three resource companies with recent developments, one of which he deems a good buy now. The Critical Investor profiles a base metal developer with a project in British Columbia that recently signed a major funding agreement with Wheaton Precious Metals. Michael Ballanger discusses why he believes the U.S. stock market is defying gravity with a record-breaking nine years without a significant correction. A small-cap miner moving forward on its prospects in Argentina has caught the attention of several industry watchers. 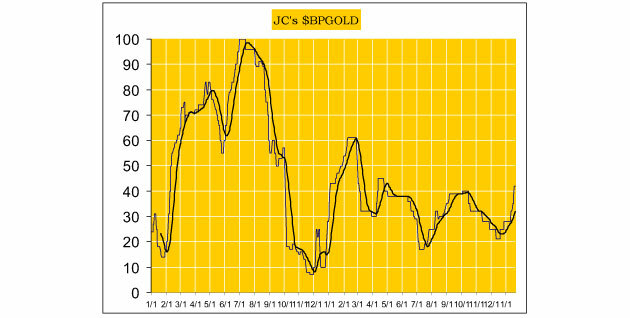 Technical analyst Jack Chan charts the latest movements in the gold and silver markets, and says that a falling dollar is supportive for metal prices. 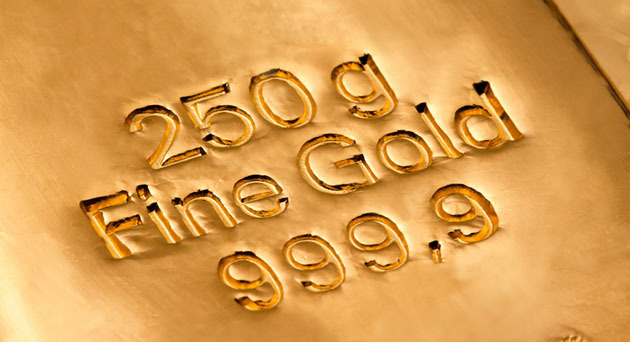 Want to read more about Gold, Base Metals and Silver?